DIY Kids Style: Shoes too slippery for your little walker? My little daughter has tiny feet and decided at 8 months that she was ready to walk around pushing her push walker. This has created a small problem when outdoors – shoes! 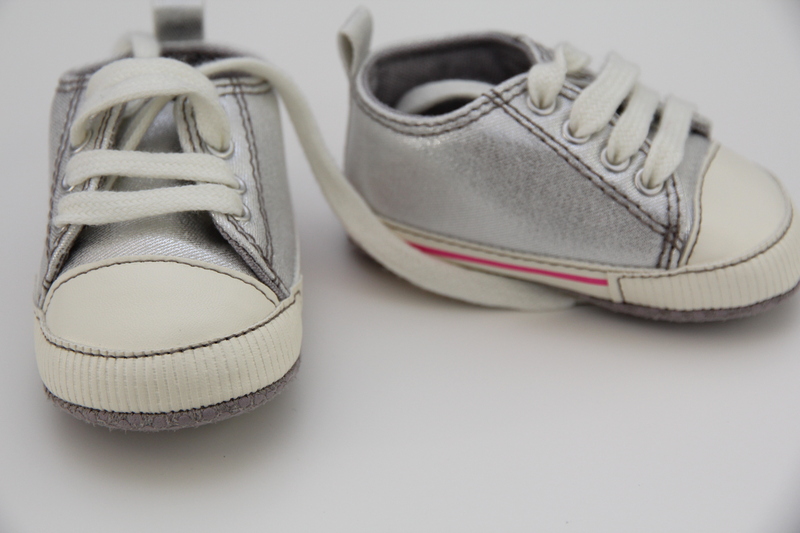 The shoes that fit her are designed for newborns so they have absolutely no grip on the sole as they are essentially for decoration. So…I decided to give these little baby shoes some gripping power. 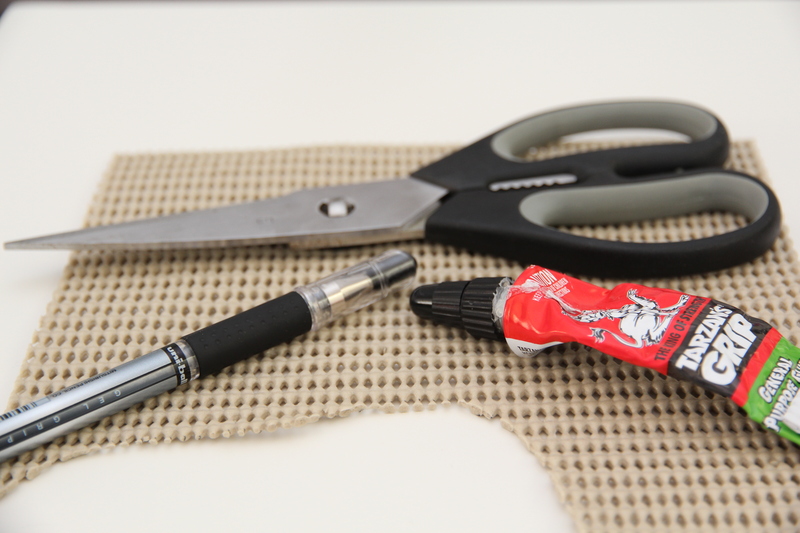 * Craft glue – to begin with I used Tarzans Grip and later I used ordinary craft glue and both worked perfectly well. 1. 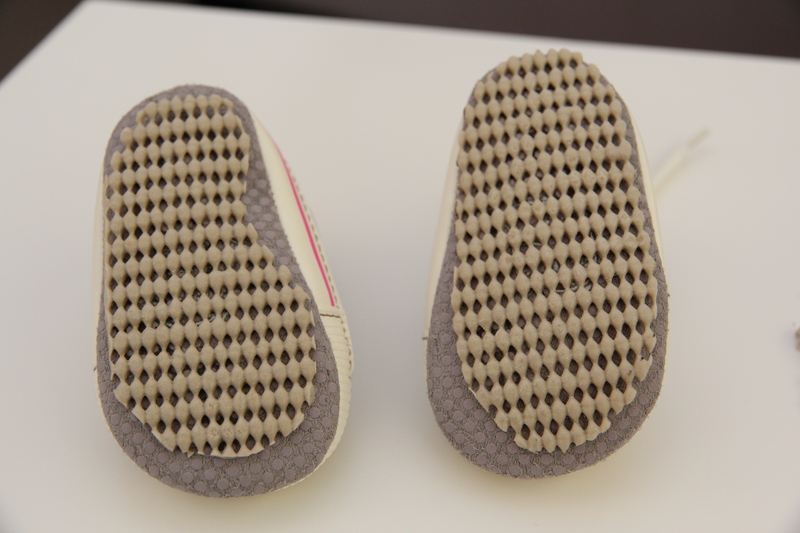 Trace the shape of the sole onto the grip mat. 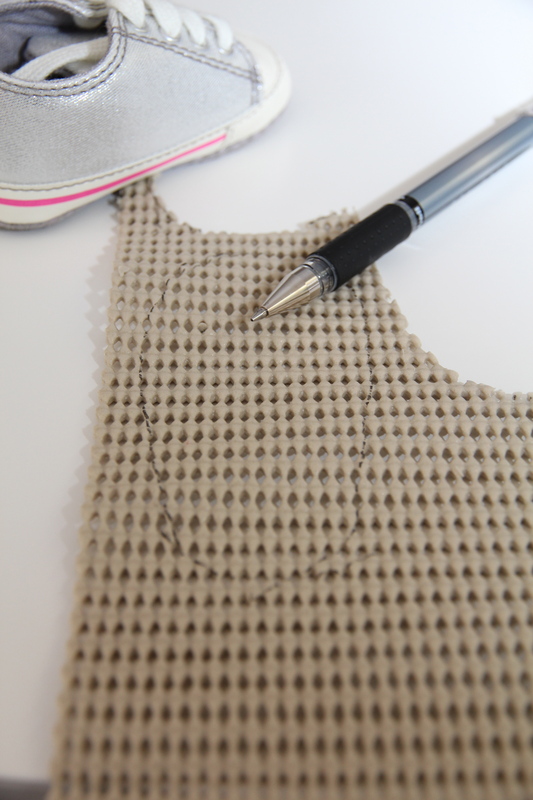 The shape made will be roughly the shape of the sole and can be fixed up later when cutting it out. 2. Cut out the grip mat. Fix up the shape. 3. Glue the grip mat onto the sole of the shoes. I used a cotton bud to help spread the glue on the grip mat then flipped the grip mat over and pressed it onto the sole of the shoe. I then flipped the shoe over and pushed the shoe down hard against the table I was working on (with a piece of newspaper to prevent glue from sticking to the table). 4. Wait for the glue to dry & admire you little one wandering around. I left the shoes sole side up while drying to they would not stick to the newspaper. Now…for the rest of Little Miss’ shoe collection! I can’t believe how many shoes Little Miss has. They are simply gorgeous! I love the Baby Bloch ones. Where can I get them?